We’ve met with government about two major proposals – to update women’s refuges from communal living to independent units with support, starting with four pilot sites, and to establish Domestic Violence Prevention Clinics in women’s health centres in NSW. You can help SOS Women’s Services by making a donation. SOS receives no government funding and is fully reliant on donations and volunteers. To make a donation, please go to Support Us and let us know your donation is to SOS and we’ll make sure it will be used for that purpose. 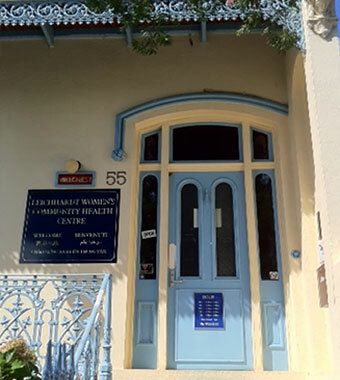 For more information, you can visit For more information about SOS Women’s Services, go to www.soswomensservices.com, or you’re welcome to call our manager Roxanne McMurray on 9560 3011 or email Roxanne@lwchc.org.au. Our manager Roxanne McMurray was asked to present to the Institute of Criminology’s Contemporary and Future Crime Trends Conference on Family and Domestic Violence and the impact of State Government reforms on Women’s Services. Our Vietnamese Health Educator Thao presented a poster at the 7th National Women’s Health Conference held in 2014 titled ‘I Come from Vietnam’ showcasing a project we had in partnership with Ultimo TAFE and CatholicCare . To view Thao’s poster, download here: I come from Vietnam poster. Contact us for more information about any of our presentations, or to ask for copies.